It was August 2010 when we last looked at Blogging at the New Media Breakfast so we thought it would be worth revisiting the topic to bring you up to date with the whole area of creating content via blogs. We often describe a blog as the hub of your social media activity, it’s a place you own and control and, a place from where you can share content to your other social media channels. Moreover, it’s a place from where interested readers can share your content with their communities and help to build your audience. What platform to choose for your blog? What should you talk about and what tone should you use? What length your blog posts should be? 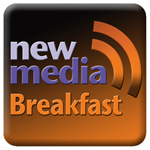 The New Media Breakfast in June will explore how to using blogging to raise awareness and tell your story. Used properly, a blog will build trust and encourage engagement with your target audience, we hope the New Media Breakfast will clearly demonstrate how it can become a key activity and an invaluable tool to help build your brand. We will also look at examples of popular blogs and suggest why they are successful. Gordon White, Managing Director of fatBuzz Ltd will present the June New Media Breakfast.